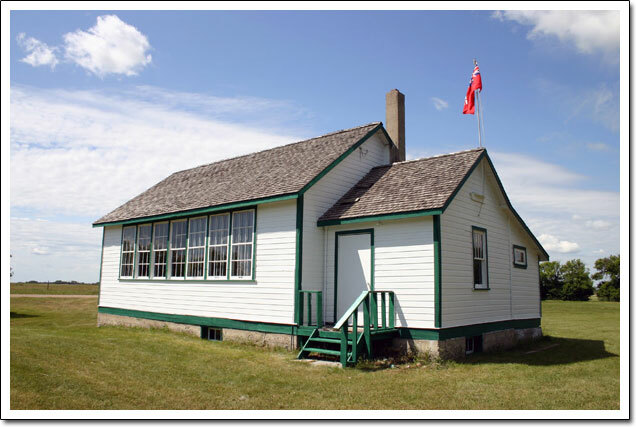 Eunola School, one of the last remaining one-room schoolhouses in the Rural Municipality of Edward, is a fine example of period trends in schoolhouse design. Erected on the site of a predecessor that burned in 1937, this roomy structure, with its well-lit classroom, tiled floor, built-in cabinets and full basement, was typical of a second generation in standardized rural schoolhouse design and a welcome improvement over the hastily built structures of the pioneer years. The sturdy local landmark, which served a school district established in 1898, is now the site of an annual community picnic and remains a social centre and source of community identity.